The islands of New Zealand are known for several names. My new foreign friend Michael told me a story of how New Zealand came to be. Legend has it, a boy named Maui made a magical fishing hook out of a jawbone that his ancestors passed down through the family. His four brothers were planning a fishing trip, but didn’t want Maui to come. When Maui overheard their conversation, he took his magical fishing hook and secretly hid inside the canoe until the bothers were far out at sea. Then Maui came out from hiding and showed himself. He took the fishing hook and tossed it over the side of the canoe, while saying a powerful chant. As the hook was lowering deeper into the sea, he felt it touch something. He started to tug on the line and something took hold of the hook. It was a big fish! Maui and his brothers worked together to pull it up from the depths. 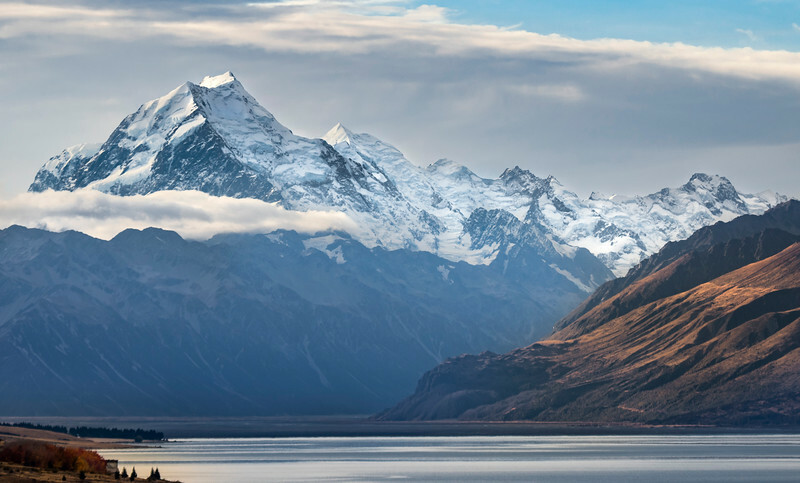 After a long struggle, they brought the fish up to the surface which revealed jagged mountains ranges, beautiful lakes, low valleys, and rocky coastlines of what is known as the North Island of New Zealand. 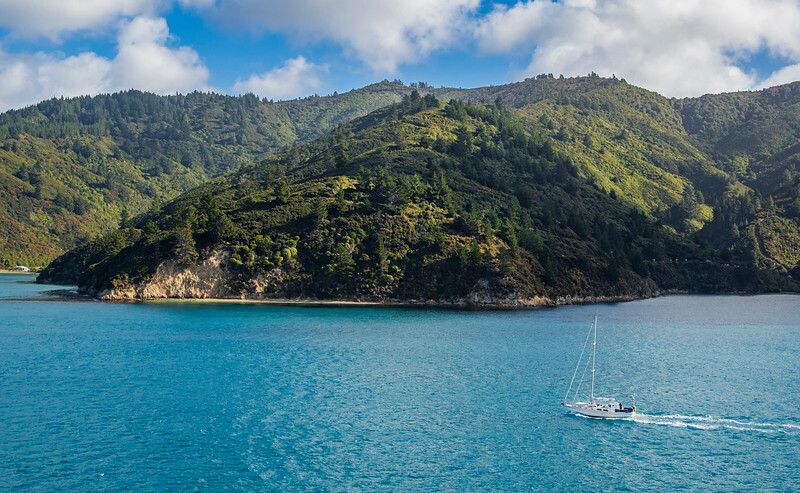 Today, the North Island is called Te Ika-a-Māui, which means “the fish of Maui” and the South Island as Te Waka-a-Māui, which means “the canoe of Maui”, while Stewart Island, also known as Te Punga-a-Māui, which means “the anchor stone of Maui’s canoe”. The anchor (Stewart Island) kept the canoe (South Island) in place as they were pulling the big fish (North Island) out of the sea. When Michael told me about this, I was amazed by how detailed and beautiful this mythological story was that I had to share it. And now I’m going to share my own adventures with you as I travel from the North Island all the way down to the South Island and back up again. I was the first one to arrive in the land of New Zealand for my class’ international documentary trip. I had about three days on my own before other students I knew showed up. In the hostel I stayed at, there was a lot of travelers from all over the world who were in the same situation as I was. Honestly, I was a little scared. Being an introvert that I am, it’s hard for me to talk to other people. And this was my first time out of the country. My first night at the hostel I went to have free dinner that the hostel provides in the bar’n grill next door. Nearly as soon as I walked in, I instantly made a new friend named Michael, who was from England, and we spent most of our time together exploring the city of Wellington in the days before my colleagues arrived. In the week I was in Wellington, the capital, I made 9 new friends. Two from Germany, two from America, one from France, one from Turkey, one from Australia, one from Ireland, and one from England. We became this one big group of friends that spent time together late into the nights playing card games, going out and having some drinks, and overall enjoying each others company. Even though I didn't spend much time with my fellow students, I’m glad that I broke out of my shell and made some amazing new friends that I will always remember. Isn’t that part of the reason we are here? To make relationships, then images. Right? On April 25th, New Zealand held a national holiday known as Anzac Day. The ceremonies pay tribute to the slain men and women soldiers that fought during World War I as they stormed the beaches of the Gallipoli Peninsula in Turkey in 1915. Michael and I walked in the streets of Wellington, where we happened upon the memorial. The ceremonies that took place are heavy in tradition and custom. They are a form of military funeral that has a very specific structure. 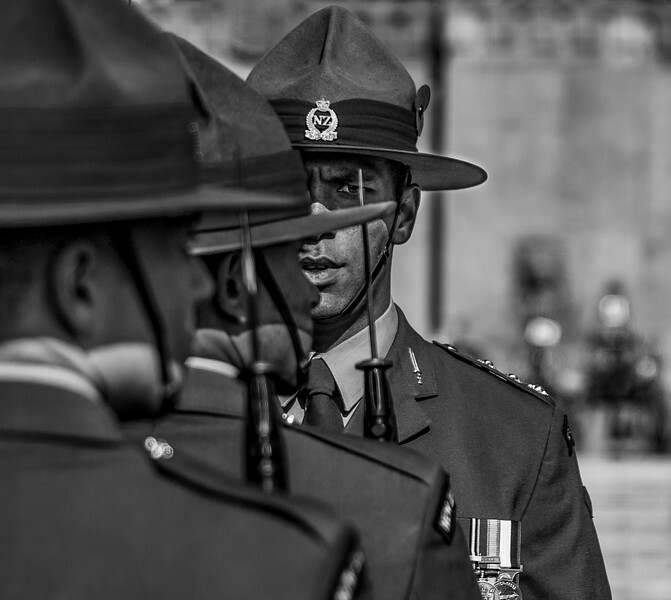 At Pukeahu National War Memorial Park in Wellington, New Zealand, military personnel and returned servicemen and women march to the local National War Memorial to pay their respects by song, the laying of wreaths, and marching behind banners. It’s a level of respect and patriotism I haven’t seen before when it comes to government holidays. On April 28th, my fellow students and I went to Zealandia, the Karori Sanctuary Experience courtesy of Universal College of Learning (UCOL), which is located in near the heart of Wellington, New Zealand. It’s an environmental attraction and rehabilitation reserve that protects endemic species such as birds, reptiles, and insects. When you walk in, it feels like you’re entering the world of Jurassic Park with dense green vegetation everywhere and a giant metal fence that circles the entire perimeter to keep the animals in and nothing out. There were several birds that I saw while exploring this sanctuary, but the one I saw the most was the Karuhiruhi Pied shag. There were many down by the river that were nesting and feeding their young. 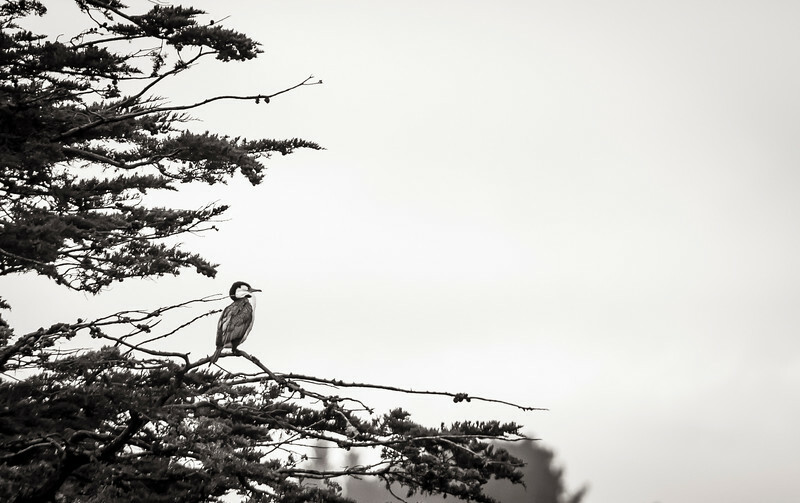 This is one of many that was perched on a tree and overlooking the river of the prehistoric forest. On April 30th, I had a long day’s travel ahead of me. Fifteen hours to be exact; from Wellington to Christchurch. But first, let me back up. 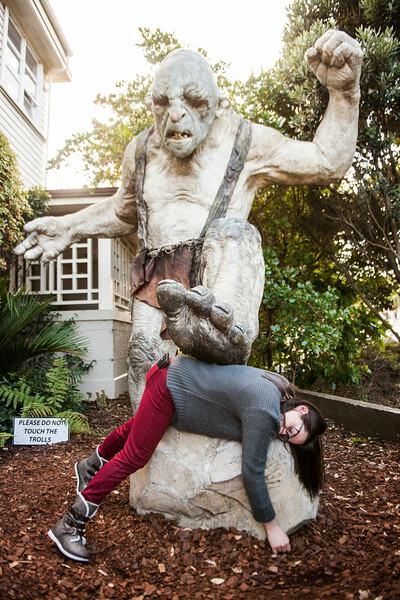 24 hours earlier I was literally geeking out at WETA workshops where my class and I paid for a behind the scenes tour. I don’t have any photo proof because of security and copyright issues so you're just going to take my word for it. The only photograph that I have is from the entrance where I am getting crushed by a Cave Troll from The Hobbit films. If you don’t know what WETA is, it’s a world-renown design and effects studio that makes film props. You may know several of the movies that they worked with such as Avatar, The Lord of the Rings saga, The Hobbit, The Chronicles of Narnia, District 9, King Kong, The Last Samurai, Mad Max, and so much more. The movies listed above had the props on display for everyone to see and what I saw were used in the actual filming of these movies and I got to hold some of them! I held the actual sword that Tom Cruise used from The Last Samurai. I held the gun that was used in the film District 9. I also held Thorin’s oak shield used to deflect Agog’s mace which I also held. I marveled at the craftsmanship of some elvish armor that was used in The Hobbit. I was freaking out in excitement. I think most of us were, I’m not going to lie. After that, my class went for a second all exclusive behind the scene tour with Park Road Post Production which is an award-winning sound and picture finishing facility. A filmmakers dream! They worked alongside world famous directors like James Cameron, Peter Jackson, and Steven Spielberg. I got to see their beautiful theaters, editing bays and sound mixing rooms that they use. I also saw how they color correct, sync sound, and created sound in a foley room. It’s surely an experience that I’ll never forget. This experience would not have been possible without our friends at UCOL setting it up for us. Once the day was done, the night life began. It was my last night in Wellington and I wanted to make it a great one so I hung out with my new friends and went out to the night market where there was live music, food, and drinks. When I got back to the hostel, I got a healthy hour of sleep before I had to get up, and pack all my belongings and then head to the ferry to the South Island. I was really tired. I made it onto the ferry which sails from Wellington to Picton. As the ferry left port, I fell asleep. I woke up a couple of hours later, just in time to view the South Island as we were approaching Picton. This was the bluest water I’ve ever seen in my life. It felt like I was in a tropical oasis with the turquoise waters and the luscious green mountains. It was absolutely perfect and I couldn’t believe that this was New Zealand. It was a long day and I was able to catch up on some sleep while on the six hour bus ride to Christchurch, where I stayed the night with a couple of friends. On May 1st, my friend Zach and I had a long drive ahead of us. We had to travel down to Dunedin from Christchurch, which is normally a five hour drive. Not long right? Well, we just had to take a detour - which turned out to be a ten hour road trip. Why did we do this? Because we had to stop and check out the tallest mountain in New Zealand, Mount Cook. It stands at 3,724 meters tall. We drove all the way to Peter’s Lookout to take photographs of this majestic mountain. It was breath taking with its the snow-capped mountains, flowing clouds, blue waters, and fall colors. 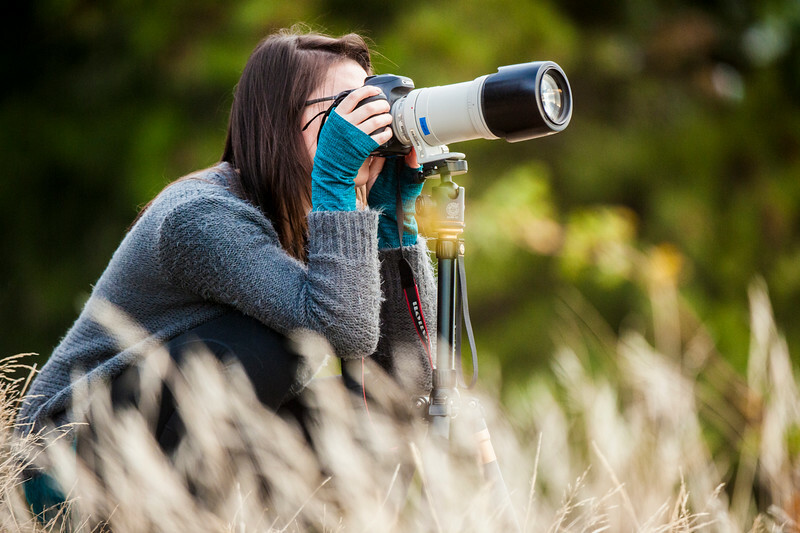 I was so immersed in the beauty of it and Zach took this photograph of me while I was photographing Mount Cook. We stayed here for a couple of hours until the sun set beyond the horizon. After, we were off for our last leg of our long drive to our new temporary home. An Air BnB that we were booked outside of Dunedin on the Otago Peninsula. When we made it to our home, it was pitch black outside. Zach and I got out of the car and we looked up to the night sky because it was so bright. I’ve never seen the sky this bright before with my own eyes. I had only seen the sky this way in photographs. 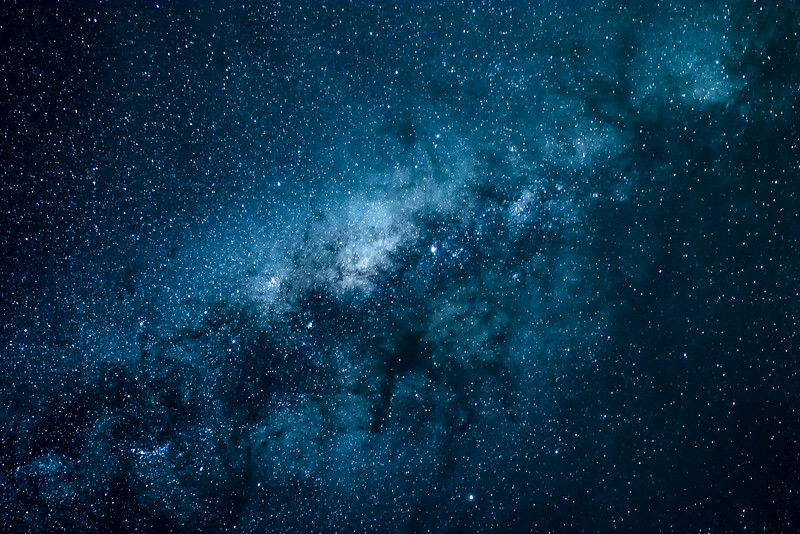 It was the Milky Way and it was breathtakingly beautiful. I was so captivated that my neck started to hurt from starring at the stars. I’ve never photographed the night sky before and I was determined to capture a photograph of the Milky Way here in New Zealand. On May 3rd, it was a clear night. The stars were shining bright and I was ready to try something new. Astrophotography. Zach and I drove about fifteen minutes away from our home and we found a spot off a dirt road next to the water. Zach patiently taught me how to capture the Milky Way. We stayed up till two in the morning doing so and I got this photograph of the magnificent stars and colors. Yesterday, May 4th, Zach and I went over to Penguin Place, a sanctuary for the rare Yellowed-Eyed Penguins, to introduce ourselves and get acquainted with people who work there because this is the place that we are filming our documentary on. We met with the owner and everything looked good to shoot there. She told us to come back later that day to go on the tour that was happening. We came back, where there was a decent amount of people ready to see the Yellow-Eyed Penguins. We got pulled aside of the group by a tour guide named Phil and he gave us our very own private tour of the facility. We got to go to areas where the main tour group didn’t go to and we saw eight penguins! 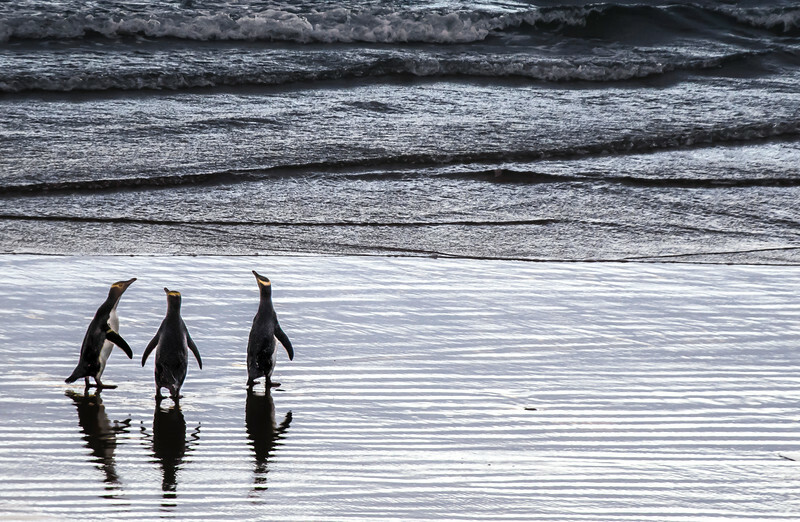 They were out on the beach socializing, stretching their necks, and preening their feathers. It was an amazing sight to see. I can’t wait to finally start my documentary on Yellowed-Eyed Penguins and share my crazy, fun filled, adventures with you all!